Sweet and spicy snack mix is the perfect addition to any holiday party. The dietitians at Mayo Clinic created this recipe which subs the nuts and pretzels for garbanzos and dried fruit to increase fiber and reduce fat. So, you can feel a little less guilty about devouring that plate of holiday cookies. 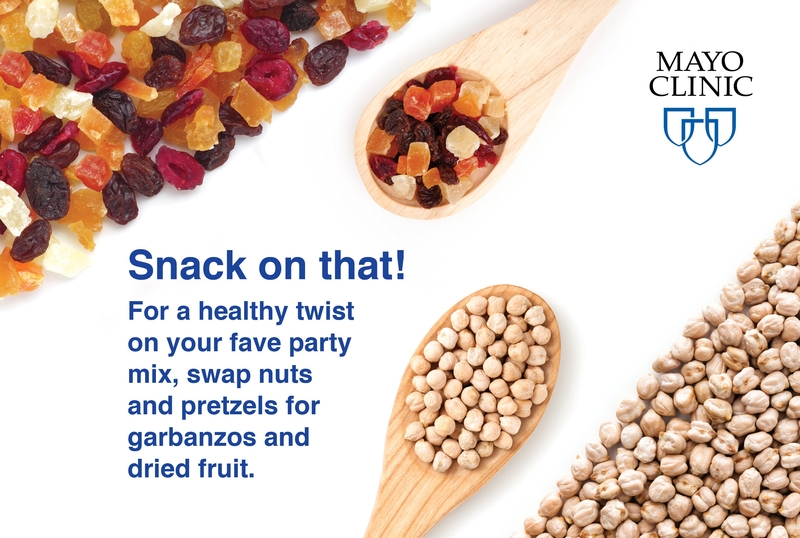 Sweet and spicy snack mix is the perfect addition to any holiday party.